Now I know this track has been floating around the internet for a while now, somebody circulated a recording of the vocal version and as if by some dark arcane magic it appeared on a handful of blogs simultaneously. In this case at least I'm putting up the instrumental version of possibly one of the harder hitting peek time boogie tracks in my crate, as the instrumental is all I ever play. There are elements here that ache of pop cheese, a cylon vocoder chorus, a lyric about getting down and a chanky chank guitar line, but thats how I like it..
"I Need You" is a personal favorite of mine by Sylvester. These previously unreleased mixes were put out in 1989 on a rather hard to find "collectors edition" white vinyl 12" on Megatone Records. According to interviews and credits from the album this track came from, Howard Merritt is responsible for both of these remixes. After an inspirational MLK eve opening for Boyz II Men followed by an impromptu set at the Sweater Funk party, (Thanks Jon and Guillermo) Le Baron and myself set out to make a new mix at the Joel Vuitton ranch due east of the SF Bay Area. We purposely didn't put very much thought into this in an attempt to give it a live feel. We simply hit record, grabbed some joints from our respective DJ bags, and went one for one on LeBaron's tweaked up Bozak mixer. The end result is "Funkacise", the first Beat Electric mix of 2009. 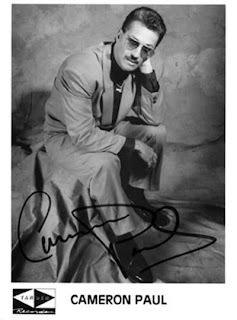 Cameron Paul was a freestyle/ electro producer in the SF Bay Area in the 80's to the early 90's. He used to have a radio dance mix show on KSOL (which is now a miserable reggaeton station) and KMEL. He also DJed at City Nights and Studio West. He put out a few records under his own name and he remixed a lot of tracks, including Push It by Salt 'n Peppa for his own Mixx It service. He now lives in Tulsa of all places. This track from 1989 on Tandem Records is very difficult to classify. Is it electro, is it booty bass, is it hip hop, is it house? Awesome is what it is. With the slam of an 808, the crusty synths, and the vocoded vocals it is a perfect CBS track. Sorry my copy is so jacked. Sorry I've been so absent in the electric world of beats (well, in terms of this blog) but I thought I'd return with another installment of jack history. 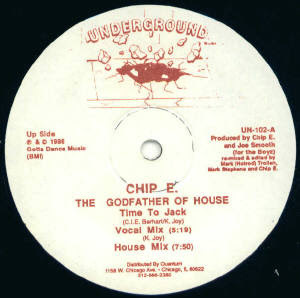 Chip E, the self-proclaimed "Godfather of House", released this track to clue people in to exactly what time it was. No, not a numerical indicator of a chronological state, this was more of an instruction for the dance floor (which sounds like it was issued from beneath a pillow). Nearly synchronous with the release of The Jacking Zone and numerous other jack tracks, it certainly was the time to jack in a larger scale as well. At long last a proper rip of one of the finest disco cuts ever recorded. A year after I first dropped this gem on Beat Electric, I finally present to you the full uncut long version of You Don't Care (About Our Love) by China Burton. Ripped from a near mint pressing on DJ Joel Vuitton's incredible rig, this mp3 is pure gold. China Burton was a British songwriter that had success in the 80's penning tracks for Julian Lennon and Taylor Dayne amongst others. His own recording output was sparse but he did manage to release one single "You Don't Care (About Our Love)" in 1979 on the Logo Records label. 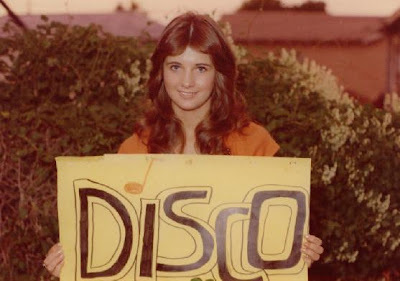 This ultra rare cut has one of the hottest breakdowns of any disco number period. The soaring strings, flanged out guitar riffs and synth effects blow this track through the roof. No wonder the single fetches for over $300.00 when it very randomly pops up. This is my first post since coming back from the UK, catching flu, getting tagged by homeland security (woohoo!) and unpacking all the records I bought on my stops along the way. I had some luck at a flea market where a nice French gentleman let me listen to his wares on a fisher price toy turntable with a pencil like needle the weight of a bag of sugar. This came out of that stack. 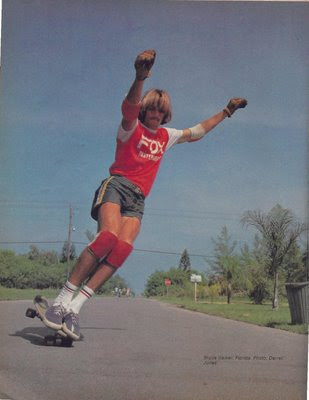 Our good friend and occasional Beat Electric contributor Disco Tom Noble has been nice enough to produce a couple of exclusive edits for our blog. Pictured above is the "Noble Nagel" created by the infamous Patrick Nagel as a limited print for the Noble Gallery in Milwaukee. The Noble Gallery was owned by Tom's parents and repped Nagel's work until his untimely post aerobic heart attack in 1984. 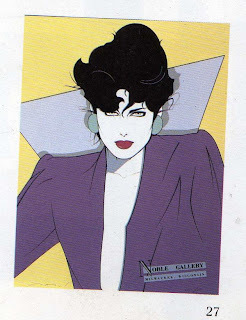 I am looking for original Nagel prints on the cheap. If anyone has a line on one, please hit me up. Nytro was a group that was produced by Norman Whitfield and put out two LPs on his label Whitfield Records. This track come from the 1979 followup to their 1977 self titled LP. Norman Whitfield produced tracks for Motown in the 60's and turned out hits for The Temptations and Marvin Gaye. In the 70's he produced for acts such as Rose Royce, The Undisputed Truth, and Starguard. 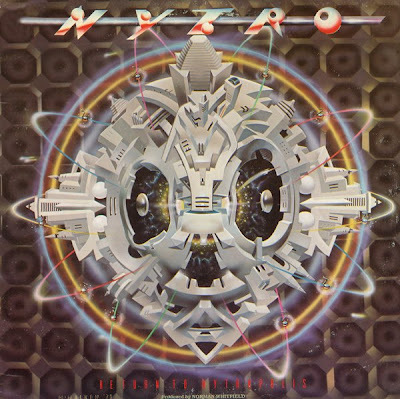 Nytro had a funky macho lazer soul sound that paved the way for acts like Zapp, D-Train, and Midnight Star. The Beat Electricians are all big fans of Jacko's ex-girlfriend Stephanie Mills so this post comes as no surprise. James Mtume produced all of Stephanie Mills' best tracks and put out a few records under his own name. My favorite record is one I heard over at my buddy Macchio's house. Juicy Fruit was released in 1983. Greenlight is a goovy lazer soul jam. It is my favorite track on the album. The single from the record is Juicy fruit, which was custom made for the ladies. Most of the album is incredible actually. Sit back and learn a thing or two from my main man Mtume. "Midnight Express To Love City" by Spaceship Earth is a prime example of mid period private boogie. I know absolutely nothing about the group except they hailed from Los Angeles and this was their only release on the private Spaceship Earth label. 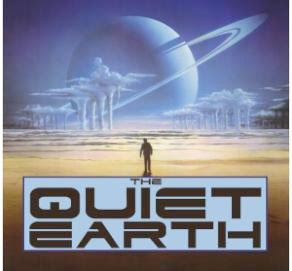 This 12" and the post-apocalyptic cult film "The Quiet Earth" were both released in 1985. When I did an image search for the song, some images from the film came up as well as the crappy scan I found of the record sleeve. "The Quiet Earth" scared the hell out of me as a kid. In contrast, this jam is all about going on a space train to a chilled out place called Love City somewhere in the middle of the universe. One can only hope that the Earth's survivors will end up in Love City after the apocalypse goes down. This funky soul jam was produced by the team of Reginald Brown and the brothers Johnathan and Stafford Floyd. R. Brown and S. Floyd were part of the group New York Transit Authority. They also worked together as the awesome boogie joint Can-Dee. R. Brown also produced tunes as One On One. A One One One track is in a Mix we did recently. This tune blends cosmic disco, boogie, jazz funk, and old school flavor beautifully.